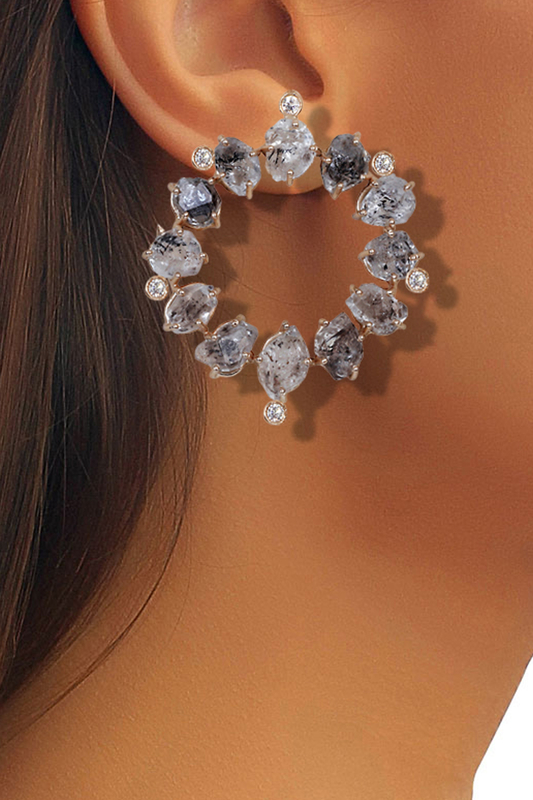 semi-precious stud earringsdesigned by Atelier Mon at AASHNI+CO. 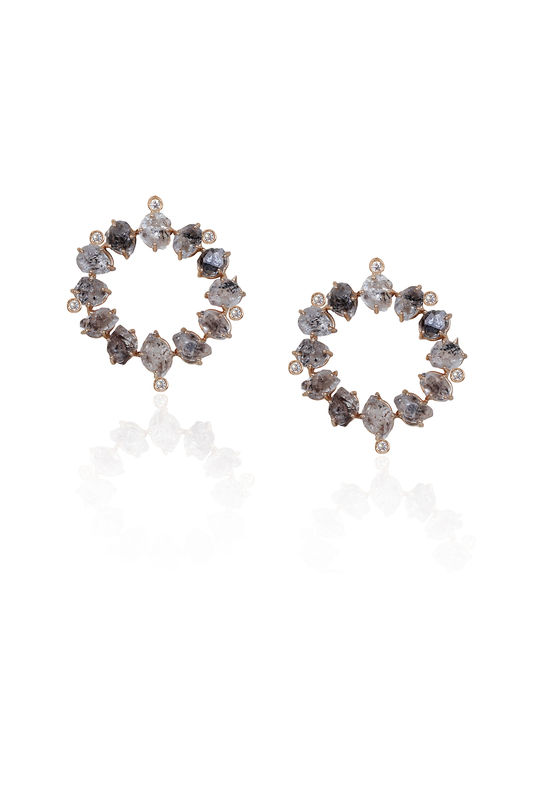 Atelier Mon designs a versatile pair of stud earrings primping it with semi-precious stones in a circular shape. Style the pair with a chic tunic to wear at the office.